Professor Jane Davidson, of the Melbourne Conservatorium and Centre for the History of Emotions at the University of Melbourne, talks to Marshall McGuire (Ludovico’s Band) about baroque female composers, historical music performances and emotions. 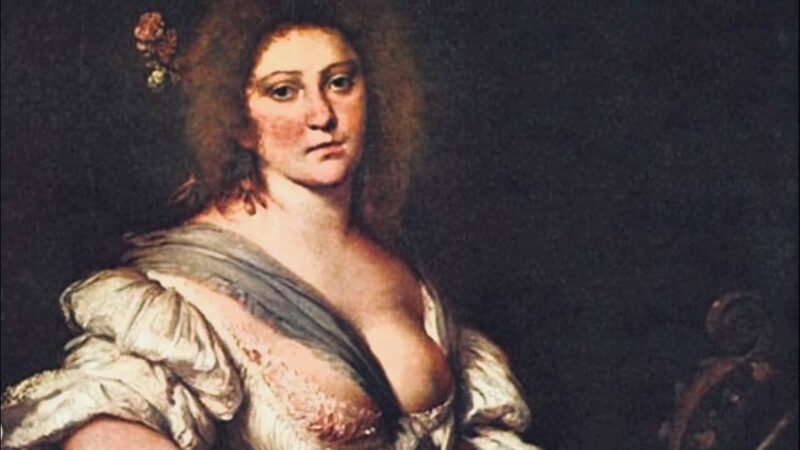 Being a woman in the male-dominated music industry is difficult enough today, so what would it have been like 400 years ago? The Voices of Women will be performed by Australia’s Ludovico’s Band on 20 March 2018 at the Melbourne Recital Centre. Teaming up with composer and soprano Helen Thomson, the performance will feature works by composers Isabella Leonarda, Francesca Caccini and Barbara Strozzi, who were all active in Italy in the 17th century, and who enjoyed varying degrees of success during their lifetimes. For more information on The Voices of Women, and to purchase tickets, visit the Melbourne Recital Centre website. Find out more about the Melbourne Conservatorium of Music. Banner image: The Viola da Gamba Player. Portrait of composer Barbara Strozzi (1619–1677). Wikimedia Commons.